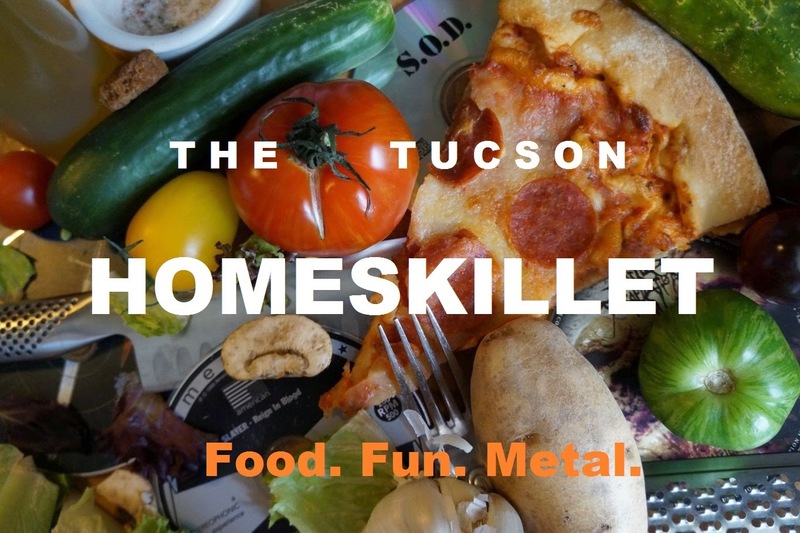 The Tucson Homeskillet: Crazy for Kazoku! The need for the next best sushi place always seems elusive yet enticing. Just like our lusts for rickety food trucks, broke down taquerias and burger shacks that seem to attract the wrong crowd for all the right reasons, locating and locking down a sushi joint that amazes and surprises that isn't a glossy chic with prices to match always proves a challenge. It's easy to run downtown and follow the steps of those glued to up-to-the-minute review sites telling you where to go and what to do or soft openings operating in hushed tones that only social media zealots whisper to you online before it closes once the truffle infused udon abstraction has all sold out. We here at the Tucson Homeskillet don't (really) care about all that fluff. We like food. Good, honest, relatable yet unpredictable yummy food. And we have found our fair share of hidden gems or questionable spots that serve up some sumptuous eats. It's what we do. It's the reason for this dopey food site. So coming across a building next to an auto yard that looked as if it were closed or at least on its way to be on Speedway Avenue, we just had to hit the brakes and see if this place was either A) crap or B) the opposite. Once we stepped inside and were met with a gracious host, a bowing chef and an impeccable dining environment, we knew we had discovered something that was most definitely option B. The place was and is called Kazoku Sushi and Japanese Cuisine. The interior was so much different than it exterior. No noisy clanging of machinery from the auto repair lot, the chugging traffic of the busy byway was all but silenced and the weather worn shingles and marquee of the building had warped into a near medical sterilized environment yet mixed with the warmth of a caring staff and (hopefully) food to match. Once we were seated we took our time to glance over the fairly substantial menu. Of course the appetizers had the ubiquitous edamame, gyoza and eggrolls, but we were happy to find two different styles of "dynamite" (think a type of really spicy mayonnaise over seafood), a kaki fry which are deep fried oysters and, what's this...a quail egg shooter? Oh man. Wait, and a sea urchin shooter? For real this place rules. Who does this in Tucson? Outside of the adventurous possibilities, we entered the realm of 'let's keep it safe for right now' due to the fact that this was our first time and if they screw up the bare essentials then we know we have to move on. The miso soup was some of the best we have had...anywhere. Really rich and brothy with a heavy miso tang. The edamame was glorious, warm and salty. 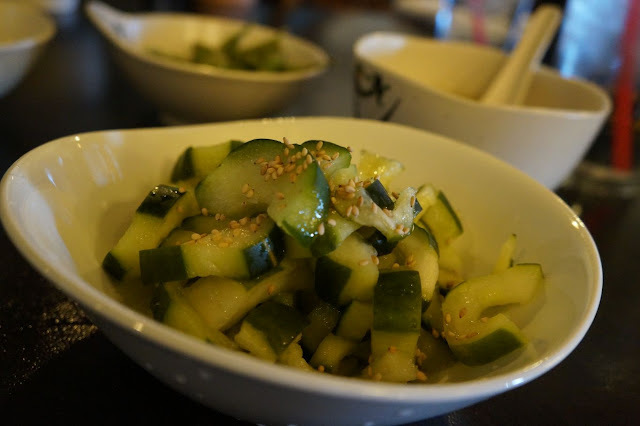 The cucumber salad was good if not a bit pickley...that is if 'pickley' is actually a word. Which it is not. The cucumbers were tasty but it was a little heavy with the vinegar. We then got a plethora of stuff to sample. Being big adventurous eaters and not afraid to try what could be "challenging" in a possible "iffy" location, we decided to get a good load of nigiri, sashimi and sushi rolls. You know, the raw stuff. All we can say is: Wow. 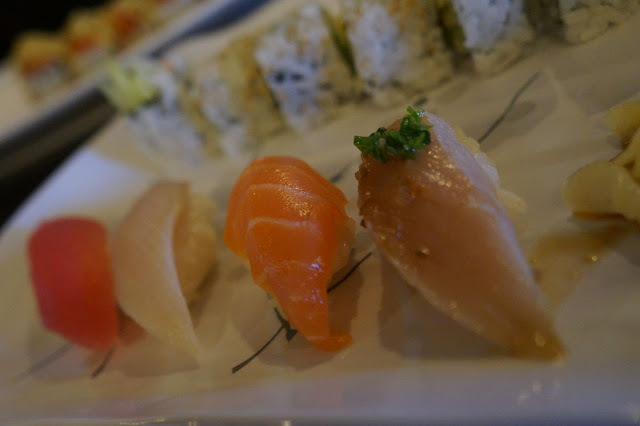 The nigiri, ranging from yellowtail to tuna to salmon to unagi were simply stunning. Fresh and buttery, all four options were sumptuous and made us close our eyes for a second as we took them in one by one. Absolutely delicious. The salmon and tuna sashimi were right up to par with the nigiri. Big hunks of precision cut fillets that were at first imposing from just the sheer magnitude of their thickness, proving a little ambitious a bite, but then melted in your mouth and sent you reeling from its texture and flavor. And to think we were about to just drive by this place. Who knew? The sushi rolls were awesome as well. How could they not be? The little chef at his station is and was a culinary wizard and if he can pull off a serious sashimi and nigiri then the rolls should be a snap. 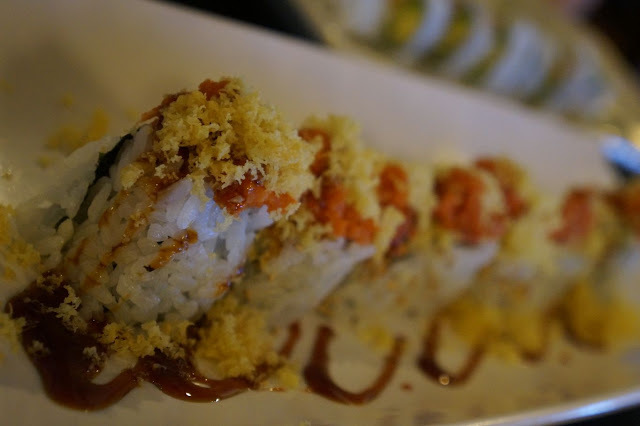 Some of our favorites included the Passion Roll which features spicy tuna with avocado then topped with tempura flakes and drizzled in a spicy kani reduction. The Kamikaze Roll comes equipped with a lightly battered fried fish cake, shrimp tempura, white onions, more avocado, more kani and finished with masago and a rich eel sauce. We also dug the "Y" Roll. This one has tamago (egg), cucumbers, a spicy mayo, masago and stuffed with fried sweet potatoes. Really fun and playful to eat. 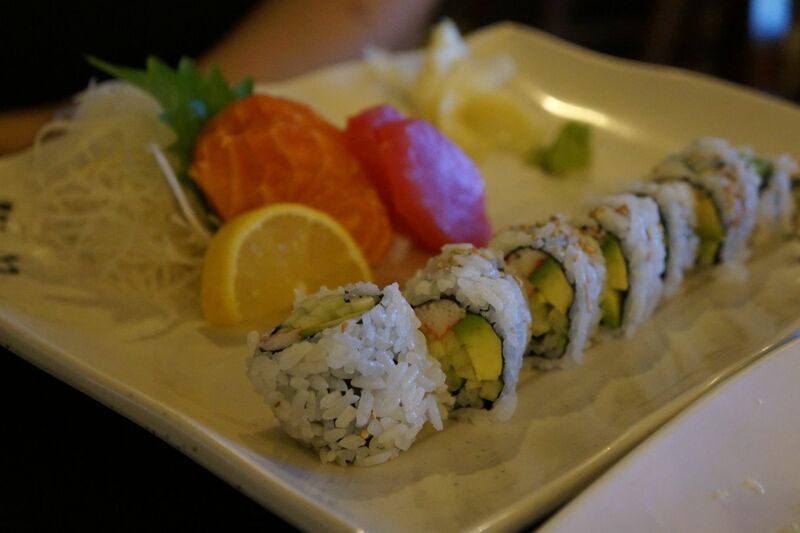 There are so many sushi options and we could only hold down so much so you are just going to have to get over to Kazoku to eat and discover for yourself. You'll thank us. No really. You will. Oh yeah...the California roll was good too. Always is. They got that one right for sure. Kazoku was literally almost empty, as far as customers were concerned. This was shocking because reading their reviews and check-ins online it would seem that this place would always be bumping. It was quiet, like real quiet. Mind you it was a hot Wednesday afternoon and when we returned for a second time it was pretty much the same: Silent. Not that we mind. We actually like eating delicious food in a peaceful environment so we can concentrate even more on what's going on in our mouths and down on the plate, but we felt bad for the chef and owner. She didn't seem to mind though, in fact the owner appeared to embrace the calm. Perhaps they kill it on weekends and at night. But for $10 at lunch you get a full plate of amazing food and appetizers you'd think this place would be packed from the moment they opened. Not on the times that we have been there. We'll have to come back for dinner to see what their rush looks like. And we wont mind waiting a bit for our food if they are indeed a little slammed; quality and flavor of Japanese cuisine such as this is far worth the wait. 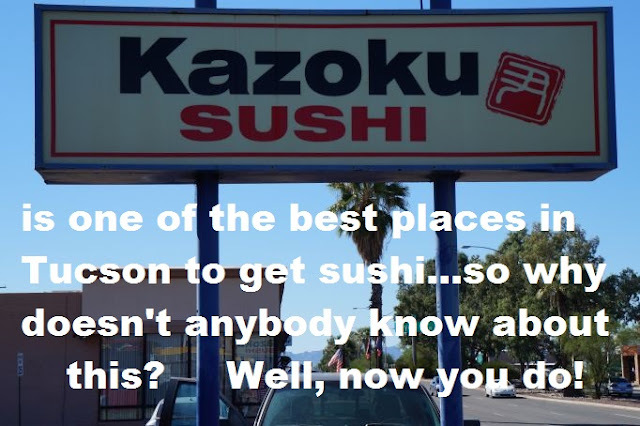 So we are telling you here Tucson Homeskillet readers: Get yourself over to Kazoku sushi and see (and taste) for yourself. And if you don't like it, then....you're wrong. Sorry. There are plenty of other food blogs to hang out with. Oh did we mention that they finish off the whole dining experience with a bowl of plum ice cream? We didn't? Well now we did. But we forgot to take a picture of it. Why? Well we just did! We were lucky to get the photos we did take for this post. The food there is just too good to always be taking pictures. Gosh. But we are a food blog and so...we need to take photos. So there's that. Thanks Kazoku! We'll be back for more soon. And thank you for reading this and we hope you enjoyed it as much as we enjoyed this food. Because we did. It's pretty apparent right? Yeah. 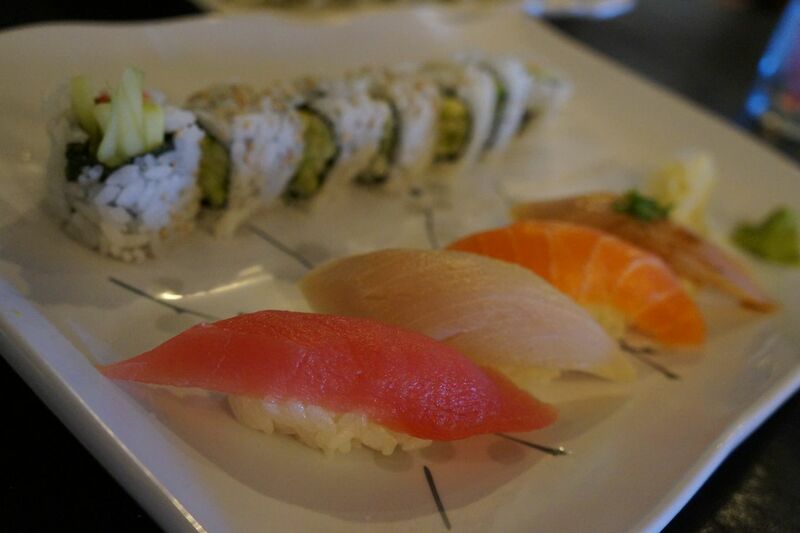 So fresh and so delicious...thanks Kazoku!